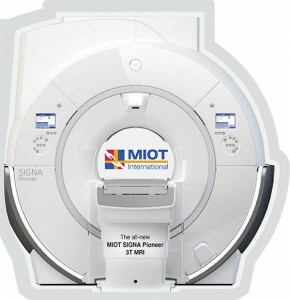 The all-new MIOT SIGNA Pioneer 3T MRI was unveiled by Thiru. BANWARILAL PUROHIT, Hon’ble Governor of Tamil Nadu on 10th October 2018 at MIOT International. During the inauguration Hon’ble Governor addressed the gathering delivering a speech on advancements of modern healthcare and the features of MIOT SIGNA Pioneer 3T MRI. Photograph seen from left to right: Thiru. BANWARILAL PUROHIT, Hon’ble Governor of Tamil Nadu, Dr. Prithvi Mohandas, Managing Director, MIOT International. Photograph seen from left to right: Mrs. Mallika Mohandas, Chairman, MIOT International, Prof. Dr. PVA Mohandas, Founder and Mentor, MIOT International, Thiru. 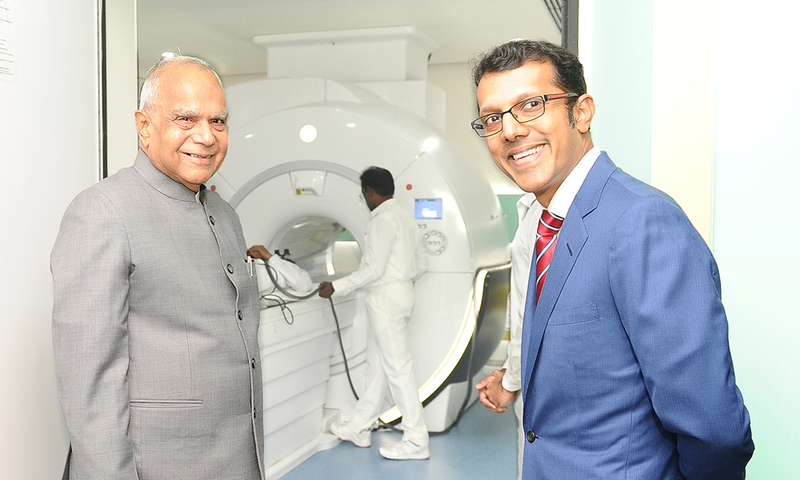 BANWARILAL PUROHIT, Hon’ble Governor of Tamil Nadu, Dr. Prithvi Mohandas, Managing Director, MIOT International.